My aunt asked me to make a card for a friend whose birthday is coming up. 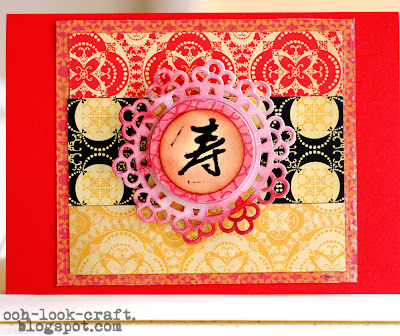 The brief: Asian-inspired, maybe red (friend is female) and maybe ‘long life’ stamped on it. 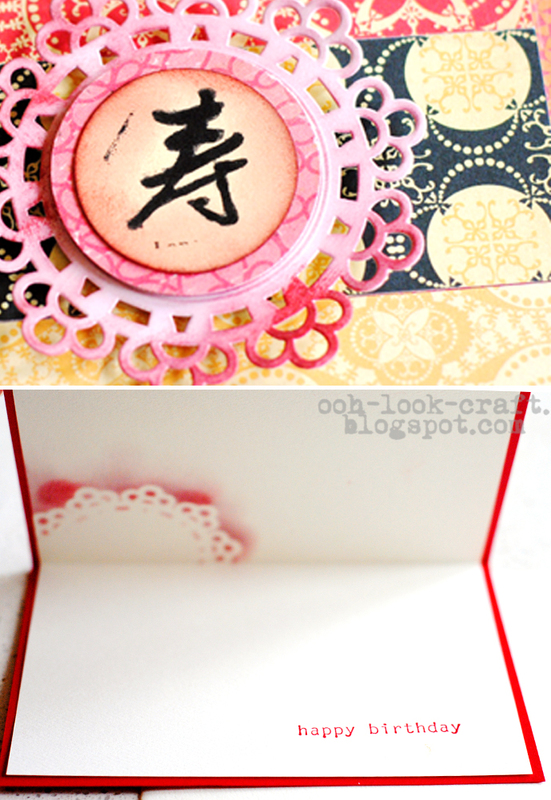 Well, as luck would have it, I have a set of Hero Arts stamps bought several years ago with Chinese characters for longevity, prosperity and double happiness, and they’re worth their weight in gold considering the number of times I’ve used them for wedding cards and the like. 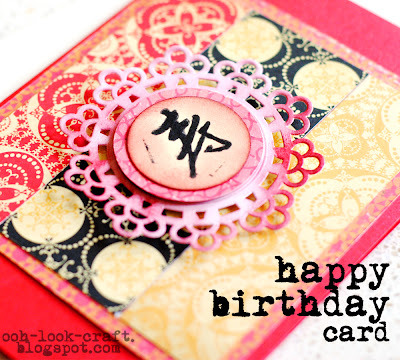 For this card, I pieced together some paper from Cosmo Cricket’s ‘circa 1934’ line and topped it with a Martha Stewart doily that is sponged with red ink. The sponging on the paper underneath also gives an interesting effect, like a stencil, so I’ve replicated it inside the card. Patterned paper: Cosmo Cricket, Stampin’ Up! Stamps: Hero Arts, Stampin’ Up!